They also have the Silver Crystal which you can level up from Pyramidal to Lotus just like in here and that amused me. P.S. Yes it's all in Japanese and you won't be able to read anything. That is part of the fun But if you have questions, post it in this thread and the rest of us can help you while we all navigate this labyrinth blindly. For Android phones, I had to download an app called QooApp, which lets you browse Japanese phone games. It's not in the regular app store, so use your phone's internet browser to find it and download it from the site, but make sure your phone's settings are set to allow third party apps that aren't from GooglePlay. 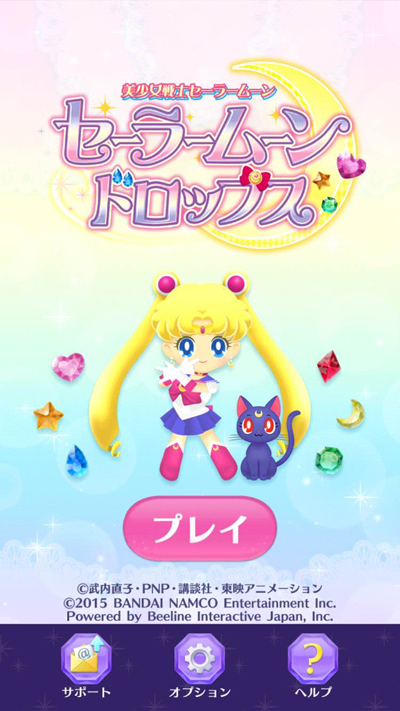 After downloading that app, open it up and search for Sailor Moon Drop. It should pop up, and you can download and install it from there. 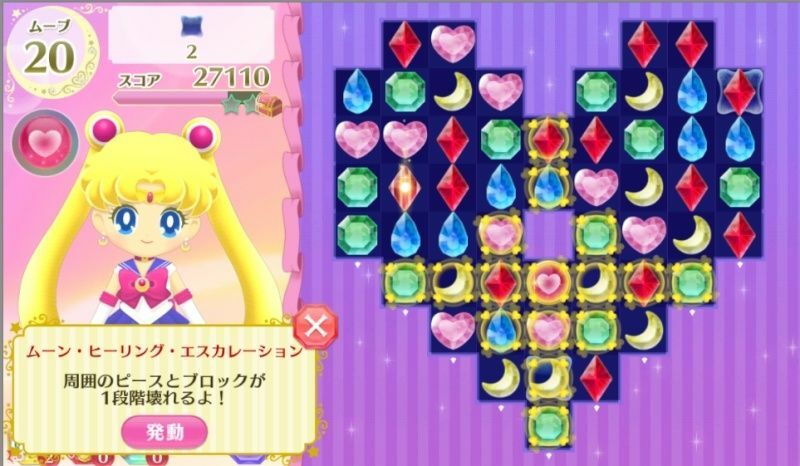 It's sailor moon....but it's a candy crush knockoff...but it's sailor moon....but it's a candy crush knockoff. I'm currently battling my love for sailor moon and my hatred for candy crush atm. It has in-app purchases, doesn't it? Yeah but you don't have to buy anything if you don't want to. besides since this needs a Japanese account I don't know if anything other than a Japanese credit card would work. I really want this, but I hate having to switch accounts. x___x I'm not sure if I'll crack and download it. I love this game!!! Now I have something other than candy crush! I'd add yall if I knew what the friggin frack I was doing lol. This game is so adorable. It seems like a lot of thought was put into it- theres so many cute details. GREAT NEWS! THE GAME IS IN ENGLISH, I REPEAT, THE GAME IS IN ENGLISH!!! I'll have to think about downloading it now! same! but the ID code is different from the japanese version, now every code has two 'ww'. I got it now! I'm adding you all xD My id is ww511b24a! Edit: I added everybody above me with US versions of the code. I can't pass level 17.